Ole Ole Dil Bole is an upcoming Odia movie starring Jyoti & Jhillik. The actors duo was last seen in Tu Mo Hero directed by renowned director s.Dileep Panda of Mental fame.While Odia actor Jyoti is all set with his upcoming release Happy Lucky from the production house of Tarang Cine Productions, Jhillik is working in couples of Odia movies. 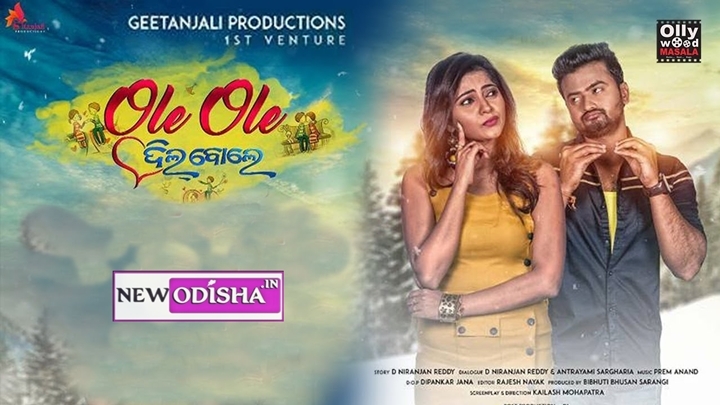 Ole Ole Dil Bole will be directed by Kailash Mohapatra and will be made under the banner of Geetanjali Productions.The music will be composed by Prem Anand.The editor of the film is Rajesh Nayak.The story & dialogues is penned by D.Niranjan Reddy. Give Responses for "Ole Ole Dil Bole Odia Movie Cast, Crew, Songs and Videos"